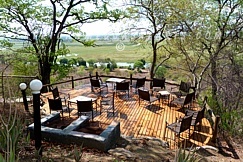 Muchenje Safari Lodge sits on an escarpment with exceptional views of the Chobe River. The lodge offers 11 newly refurbished thatched Safari bungalows, each being beautifully appointed having its own unique view of the Chobe. 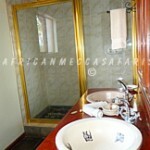 The bathroom is a good size with shower, toilet and his/ hers hand-basins. 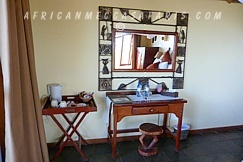 Each Safari Suite has a ceiling fan, wardrobe, electric safe and writing table. 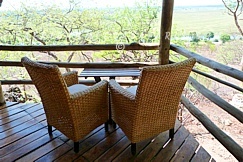 You also have a private, shaded veranda, from which to take in the sights and sounds. 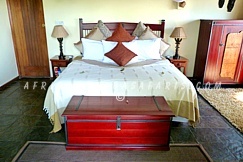 Of the 11 Safari rooms, 1 is a family unit, and accommodates 4 guests. 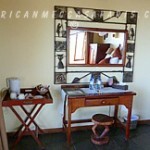 There is a double bed and full bathroom downstairs, and a loft area with 2 single beds upstairs. This unit also works well for a small group of friends traveling together. 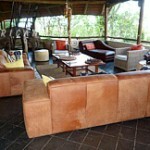 The main lodge area is extensive, and has been built to allow for excellent vistas, comfort and charm. 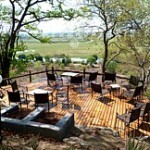 Guests can relax in and its many quiet areas; from the viewing platforms and decks, the dining area and bar. Retail therapy is also at hand, at the curio shop. The swimming pool at Muchenje is also decked and offers more superb views where guests can relax in the afternoon, and soak up the sun and atmosphere. Muchenje Safari Lodge enjoys a unique position to the west of Botswana’s famed Chobe National Park. The lodges sits on an escarpment with wonderful views of the Chobe River, and Namibia’s Caprivi Strip and seasonal flood plains. 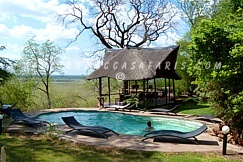 Muchenje Safari Lodge’s position means that it is far away from the bustle in Kasane, and guests enjoy extensive game drives in a rarely visited section of the Chobe National Park. 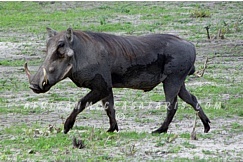 In addition, as the Muchenje is located in the Chobe Forest Reserve, game walks and night drives are also available, which add immeasurably to the wildlife experience. 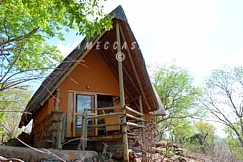 The lodge is easily accessed from Kasane, Victoria Falls and Livingstone, where a selection of direct flights from Johannesburg, Windhoek, Gaborone or Lusaka. A charter flight from Kasane means the Chobe National Park is a short flight away, thus making Muchenje an easy addition to your Botswana Safari. 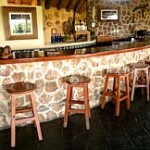 Muchenje prides itself on the variety and quality of the Safari experiences, and interactions that it offers. With a maximum of 22 guests in camp, you have a wide choice of activities, without ever feeling that you are part of a big group. 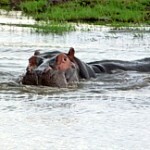 Chobe plays host to some of the world’s best game viewing. 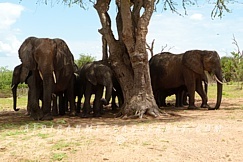 Muchenje is perfectly located for seeing the best that Chobe has to offer and famous – its large herds of elephant and buffalo, along with numerous predators – including lions, leopards and wild dogs. There is a great diversity of plains game and an astonishing array of bird species. Daily camp activities follow a rhythmic pattern in harmony with nature. Generally guests enjoy a light breakfast of coffee, tea, fruit juices, cereals, muffins and fresh fruit just before dawn and then set off on extensive safari drives, boat or mokoro outings. Upon returning to camp three or four hours later, its time for a scrumptious brunch, including a selection of breakfast and lunch dishes. 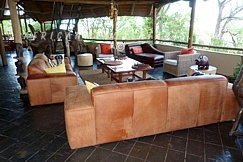 A siesta is followed by high tea before guests set off again on a safari activity that returns to camp approximately half an hour after sunset. A chance to freshen up is followed by pre-dinner cocktails and snacks, dinner and coffee and liqueurs on the fire-deck. Game viewing by boat on the Chobe River – a wonderful chance to see huge herds of elephants, as well as many other mammals and birds attracted to the water’s edge, not to mention those animals which also live in the River! 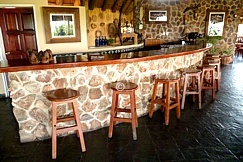 ‘Night eyes’ – night game drives in the lodge’s own concession. The guide uses a spotlight to show the local ‘night life’, which can range from the small mammals, to buffalo and elephant. Visits to our local village for a cultural experience and to meet the people that make Botswana the delightful country that it is. LOCATION: Chobe National Park, Botswana. 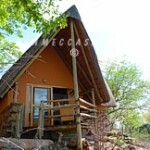 Situated within the Chobe Forest Reserve on the remote western side, offering unique, and undisturbed safari experiences. 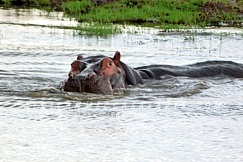 Chobe offers prolific game-viewing at any time of year. 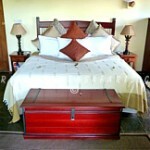 FACILITIES: Muchenje is a magnificent lodge in a stunning location. Owner operated, your friendly hosts offer a truly relaxed, homely atmosphere, where nothing is too much trouble. Just 22 guests are accommodated in intimate exclusivity. 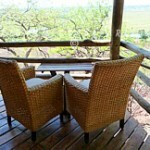 Each thatched, stone built cottage has private, panoramic views of the Chobe River and Caprivi floodplain. Curio shop, reference library, swimming pool, viewing decks, small gym. ROOMS: 10 standard + 1 Family room. Total capacity: 22. 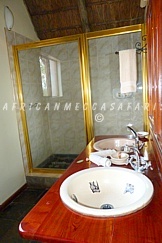 All en-suite, with shower, toilet, shaver sockets, 24 hr power, fans and double handbasin. 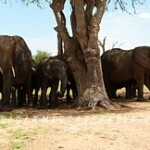 WILDLIFE: Chobe is world famous for its huge herds of Elephant and Buffalo. 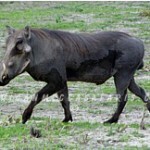 Muchenje provides incredible game viewing in the spectacular setting of the Chobe river. Over 450 species of birds and 75 species of mammal with Lion, Leopard, Elephant, Buffalo, Giraffe, Zebra, Sable and numerous other species! CHILDREN: Children 8 years and over welcome. Under 8’s on request. 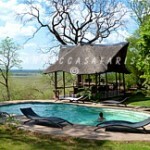 Special Family Safaris available.